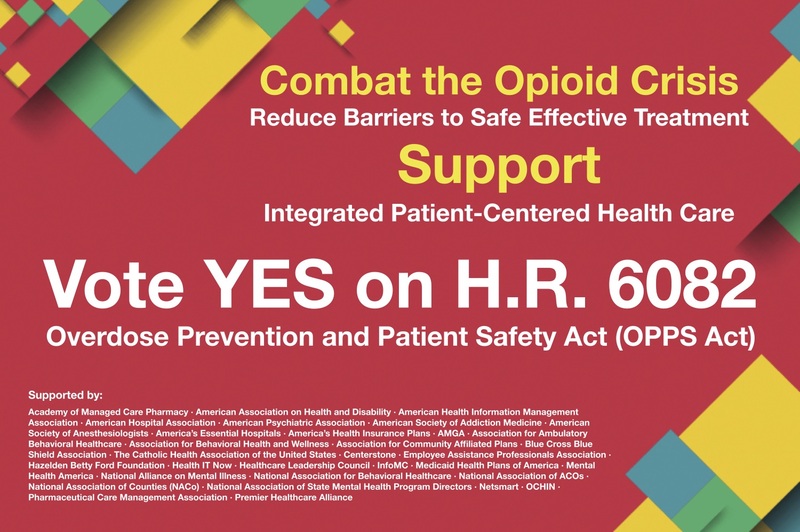 Wednesday, June 20, the U.S. House of Representatives is slated to vote on the Opioid Prevention and Patient Safety Act (OPPS Act) (H.R. 6082), critical legislation in our nation’s fight against the opioid epidemic. We encourage our legislators to support this bill to ensure that health care providers have the information they need to accurately and safely treat people who may suffer from addiction. As opioid misuse has reached epidemic proportions in the United States, life expectancy has begun a decline the likes of which we have not seen since the 1960s, related largely to opioid overdose deaths. We must explore every avenue we can to stop the continued spread of addiction and help more people access treatment. Passing the OPPS Act is one important step we can take. The OPPS Act will update 42 CFR Part 2, a federal regulation written in 1972 that separates a person’s history of addiction from the rest of their medical record, requiring a special release. Enacted long before the patient privacy protections created by HIPAA (Health Insurance Portability and Accountability Act of 1996) were established, 42 CFR Part 2 was designed to ensure that those who sought addiction treatment were able to do so privately. Today, with HIPAA now in place, substance use disorder is the only medical condition that requires this extra step. In the current health care landscape – of electronic health records and extensive patient privacy laws – 42 CFR Part 2 is no longer relevant. In fact, preventing health care providers from accessing a person’s complete medical record slows the coordination of treatment, inhibits collaboration, and can put patients’ lives at risk. Today, if a behavioral health provider is referred a patient by a primary care doctor, he or she is unable to share with that primary care physician that the patient has been diagnosed with or is being treated for an addiction. This lack of transparency can lead to situations in which providers may accidentally create threats to the safety of their patients with substance use disorders by unknowingly recommending harmful treatment. Changes to 42 CFR Part 2 have historically been difficult to implement because of concerns about privacy for those with addiction. 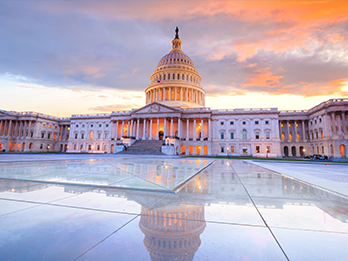 The OPPS Act achieves the vital objective of disclosing patient information for limited means – associated with treatment, payment, and health care operations – while simultaneously protecting privacy. In fact, this proposed law is designed to strengthen existing patient privacy protections against the use of substance use disorder records in civil and criminal proceedings. By treating substance use disorder like all other medical conditions and ensuring that providers have all the information necessary to deliver safe, coordinated, effective, high-quality care, we can improve our health care system’s ability to treat addiction and allow providers of all kinds to help get more people on the path of recovery. We urge everyone to take action to support the passage of the OPPS Act. Call or write your Congressional representatives, post your support on social media, and encourage your loved ones to do the same. The time for this legislation is now.